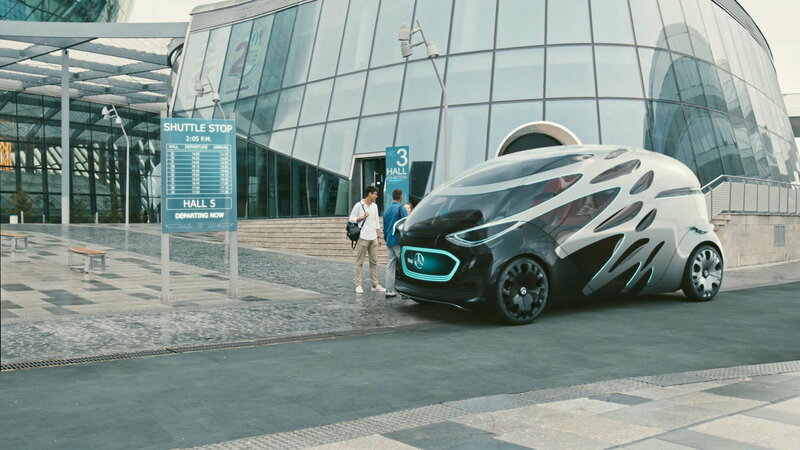 Slideshow: The Mercedes-Benz Vision Urbanetic might seem like a strange-looking shuttle bus at first glance, but it tells us a lot about the future of Mercedes design. 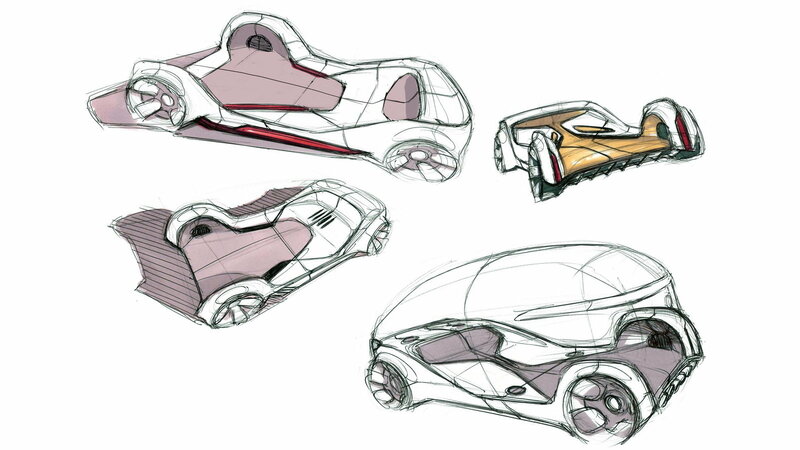 As an insider to the automotive design industry, I can tell you that the idea of modular vehicles with a shared platform using different pods for different purposes is not new. The Mercedes Vision Urbanetic may be the first well-developed concept revolving around this design philosophy, but it definitely won't be the last. Vision Urbanetic is, in essence, a modular electric self-driving platform. 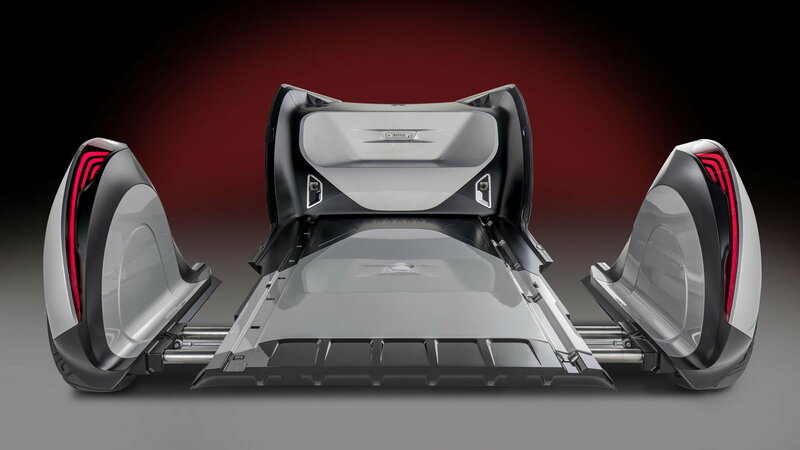 One of two different pods can ride on the 'chassis' and each one serves a specific function. 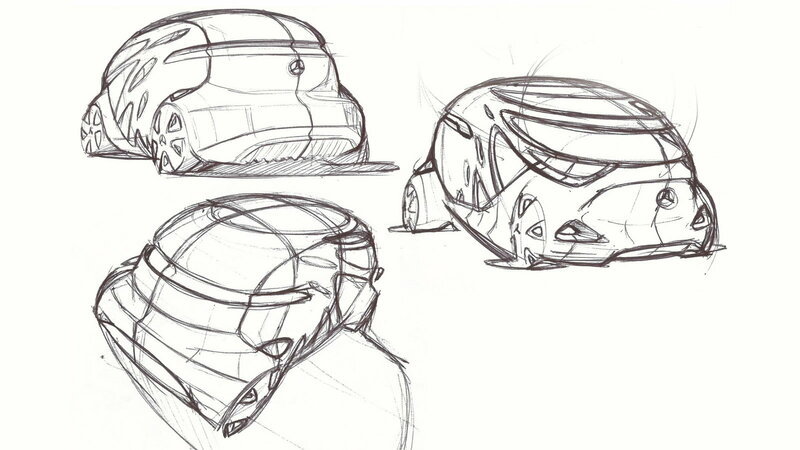 With the passenger pod, the car would become a ride-share system vehicle capable of carrying up to 12 passengers. While wearing the cargo backpack, the autonomous vehicle can be used as an unmanned freight hauler. 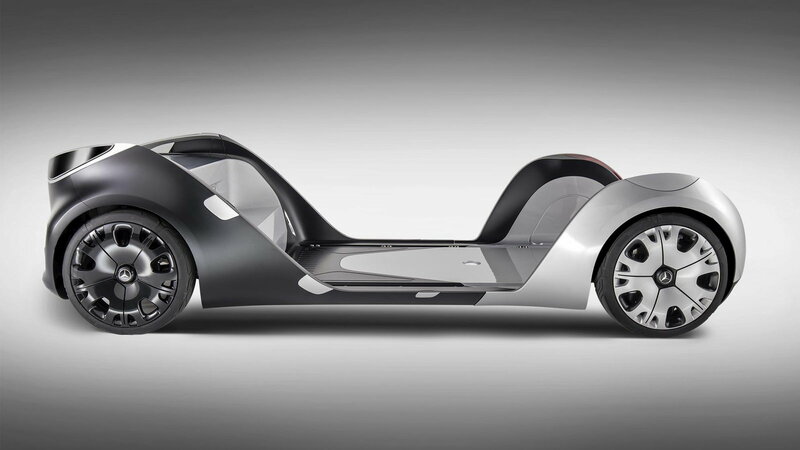 >>Join the conversation about the Mercedes-Benz Vision Urbanetic right here in MBWorld. 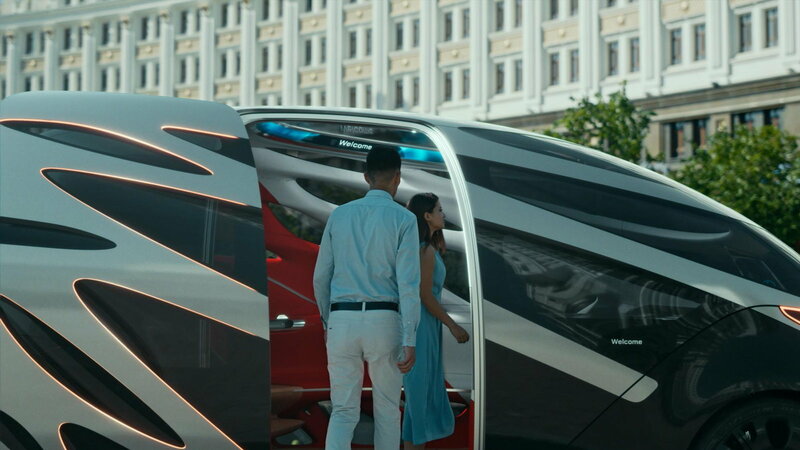 In the form of a people-mover, the Mercedes Concept features a user interface for ease of interaction with the digital functions of the ride-share system. The passengers can call the car over for pick-up, and assign a point of drop-off. The UI also provides an augmented reality infotainment system for the passengers. When equipped with the cargo pod, the Urbanetic can be useful for completing shipping and deliveries, without the use of a driver. The Mercedes will be given a complete transportation database to aid the driver-less vehicle in navigating from its point of origin to the destination. Daimler VP of design Gorden Wagener will not miss an opportunity to tell you about the Mercedes-Benz 'Sensual Purity' design philosophy. But how does this awkward-looking modern van fit in that conversation? The organic nature of the overall proportion of the passenger pod, along with the curvy graphics and daylight openings speak in dramatic fashion to Wagener's sensual purity idea. Some might argue that the styling goes overboard with the use of what is, not typically automotive form language. Some would even say it is downright ugly. To give you the big picture as far as the direction the automotive industry is headed and how the emotion of cars and the sensation of driving are slowly being subtracted from our cars requires a separate discussion. 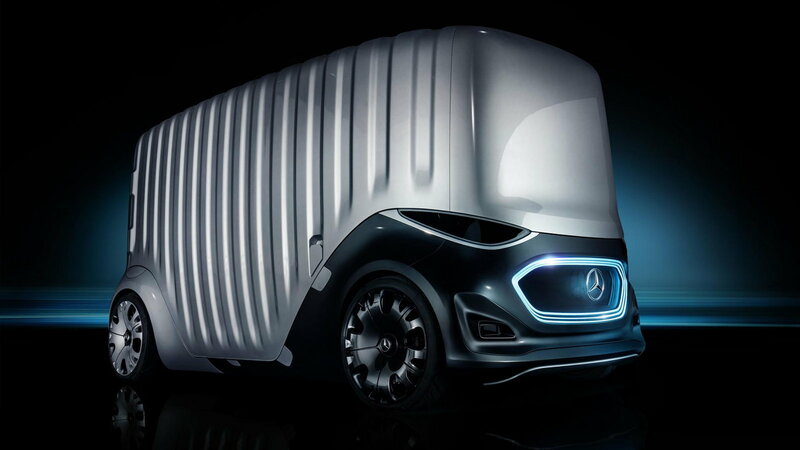 But I assure you that in a world of iPad-looking cars, the sight of a Mercedes-Benz Vision Urbanetic picking you up at a shuttle stop will be rather refreshing. Plus, it's almost always better to be controversial that to be boring. While it is not as hard to tell different Mercedes-Benz models apart as it is to do so between any Audi and a VW Jetta, it is easy to notice how since Wagener's takeover as design chief, Mercedes cars are showing more and more homogeny in both interior and exterior styling. Increasingly, it's feeling like as a Mercedes-Benz buyer, you're presented with different sizes (and levels of tech) of the same product within the brand. The Vision Urbanetic takes that idea to a new level. The cargo vehicle and the passenger car literally use the same exact platform. And while it is very easy to distinguish between the two, it is also undeniably obvious that both are Mercedes products. 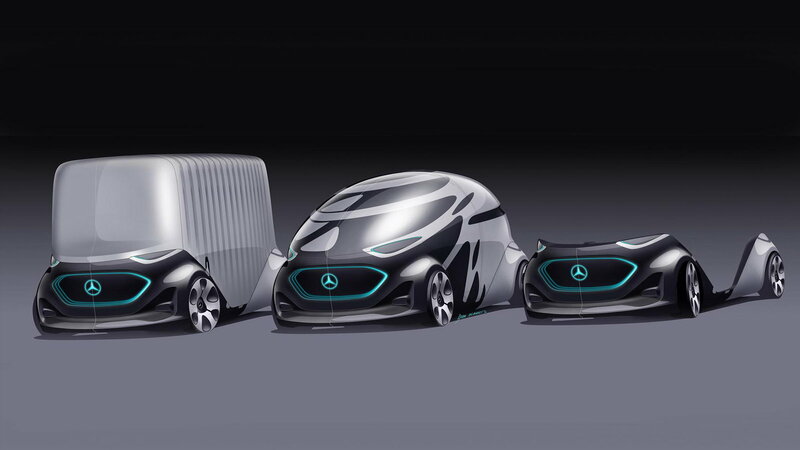 Mercedes-Benz is giving us a sneak peek into the future of automotive design with the Vision Urbanetic. How many years it will be before a transportation system like this one can be fully implemented is unknown. But in truth, all three areas of technology have already seen massive progress and implementation. And while Mercedes-Benz has once again been found guilty of pioneering, with the shifting interest within the automotive industry, we will be seeing more car makers gradually present us with their own innovative looks into the future of mobility and transportation.